Below are the 3 choices I have for background colors for your session: Dark Grey, Ivory, and Light Grey. The most popular is dark grey. Below are my most requested mom and dad poses. The most important question to decide before coming to the session is: do you want your baby swaddled or naked for these poses. It doesn't have to be either/or. 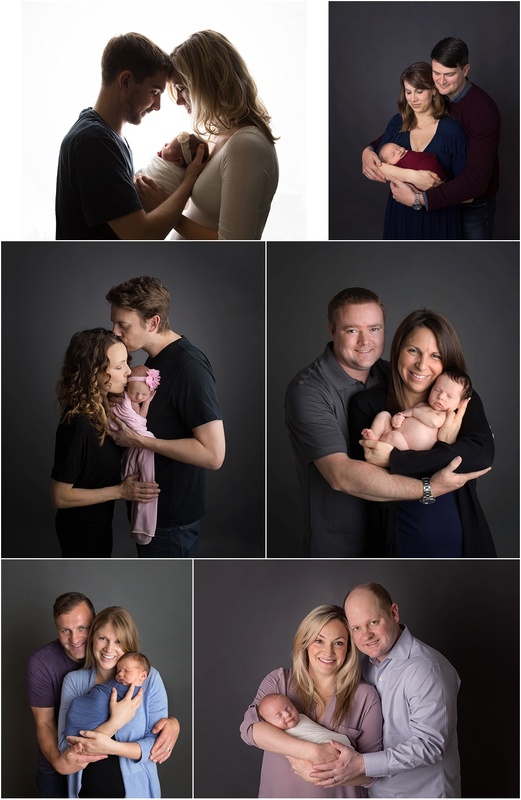 You could decide that you want a naked newborn with daddy pose and then wrapped up for the rest of the family images. Please note: If your baby is going to be naked, they have to be asleep, so please let me know before we start the session if naked images are important to you. That way, I can make sure that I get those family photos while your baby is still sleeping. Naked images will also require more time and patience from all of us. Sibling photos are done either right at the beginning of our session, or you can choose to bring your sibling to the studio at the end of the newborn session. I will try to move quickly through this portion if your little one is less than 4 years old. Getting siblings to pose with their newest family member can take more time than you might think, but it will be worth the effort! Below are my most requested parent images. The white backdrop is my strobe light, not a background. It is also currently my most popular parent pose. What a great moment for a family photo! I do suggest, if this isn't your first, that we swaddle your newborn for this image. Typically, younger siblings are more wiggly and will need a bit more attention to get the perfect image, with your newborn wrapped up, we can be assured that we get a great shot! Please let me know if you would like to add speciality black and white images to your session. 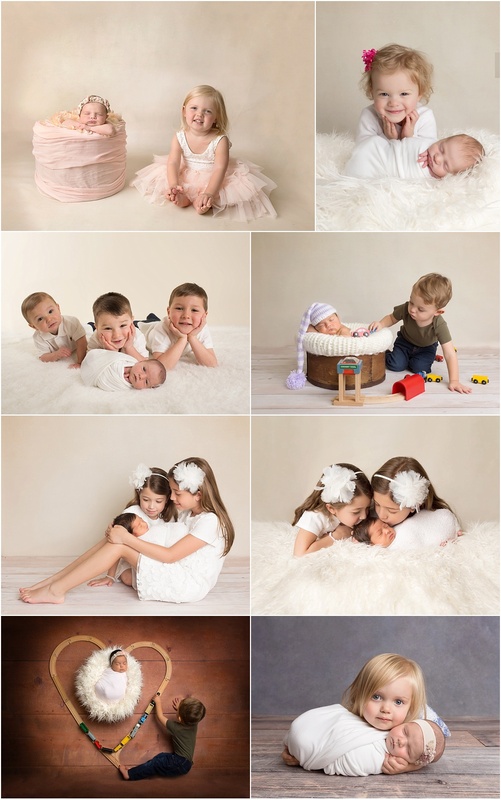 They can be included in your 5 family images, or in your newborn image count. Again, your newborn needs to be asleep for these images, so please let me know if you want to include a few of these images.